New Beginning Worship 3pc. 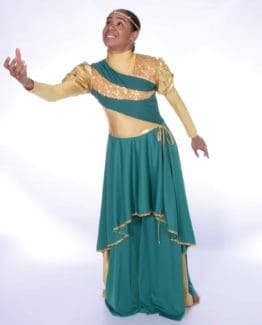 Set / Zippered Back Sleeveless Tunic with Tailed Skirt w/Trim Around Skirt Edge, Rejoice Gold Leotard and Anointed Palazzo w/Lycra insert. 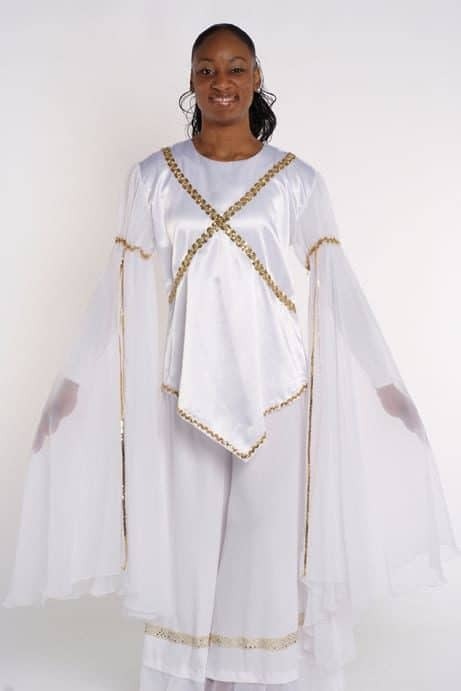 Note: You can also Purchase LD-346T New Worship Tunic by itself. 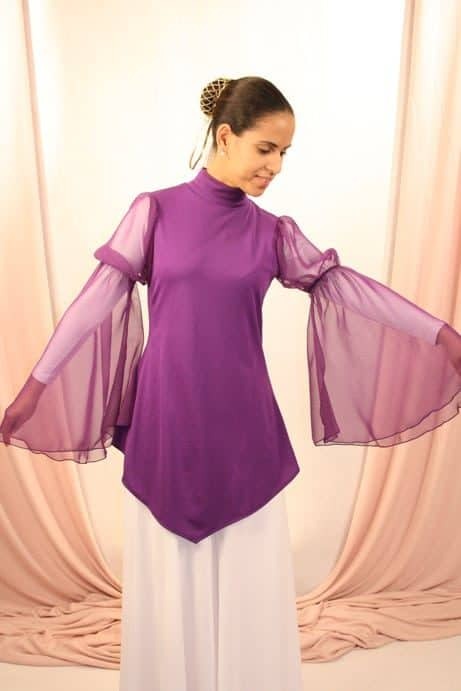 SKU: LD-346 Categories: New Beginning, Tunics Notes: You can also Purchase LD-344T New Worship Tunic by itself. Hand Wash Only due to Sequin Material. 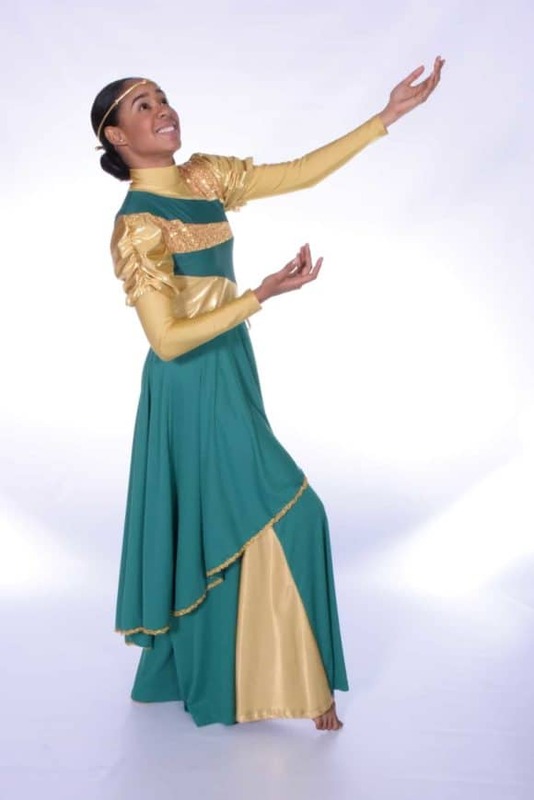 Such a beautifully made uniform. 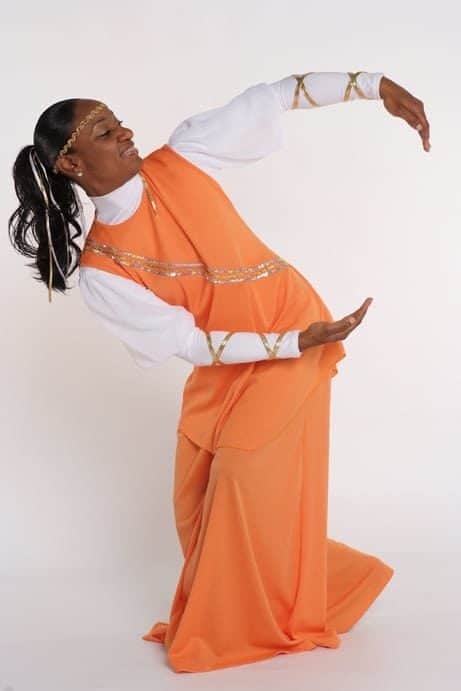 We wore these for our 4th Annual Praise Explosion and they flowed very well. 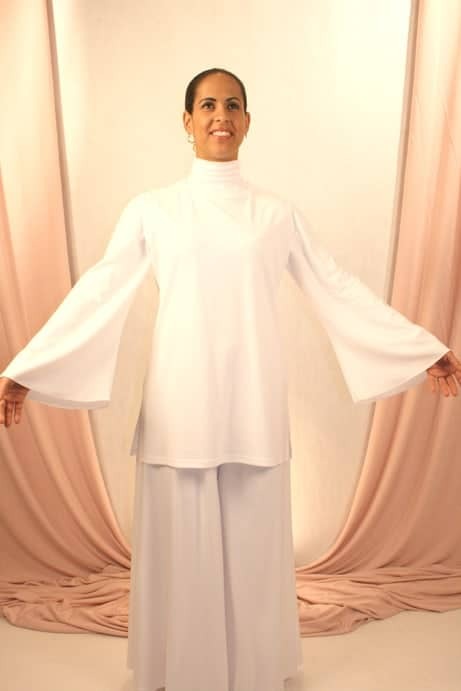 We appreciate the anointed hands that crafted these garments. The colors of the green is so refreshing.